It should be noted that although there are various criminal procedure implications of the Sixth Amendment right to counsel, this research guide will focus primarily on the constitutional aspects. What is the Right to Counsel? "A criminal defendant's constitutional right, guaranteed by the Sixth Amendment, to representation by a court-appointed lawyer if the defendant cannot afford to hire one." Collection of information about governmental (federal, state, and local) and non-governmental agencies, organizations, and services that provide assistance within the criminal justice system. When you don't have access to Westlaw or Lexis, use these free or low cost resources for legal research. "In all criminal prosecutions, the accused shall enjoy the right to a speedy and public trial, by an impartial jury of the State and district wherein the crime shall have been committed, which district shall have been previously ascertained by law, and to be informed of the nature and the cause of the accusation; to be confronted with the witnesses against him; to have compulsory process for obtaining witnesses in his favor, and to have the Assistance of Counsel for his defense." 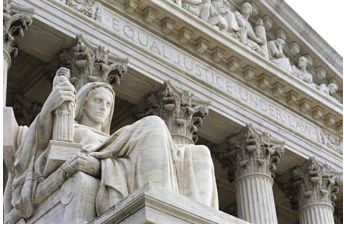 The Sixth Amendment ultimately guarantees to every indigent criminal defendant the Right to Counsel. The Supreme Court jurisprudence has held that the Right to Counsel is comprised of both the right to the appointment of counsel and the right to the effective assistance of counsel. This is a link to an annotated version of the Constitution of the United States of America, prepared by the Congressional Research Service. The annotations provide analysis and commentary on each article, section and clause of the Constitution, as well as references to the most significant cases decided by the Supreme Court. THE CONSTITUTION OF THE UNITED STATES OF AMERICA, S. Doc. No. 17, 108th Cong., 2d Sess. (1996).